Do you guys remember a few months ago when the Nivea After Shave Balm was all the rage as the best primer all over youtube?! 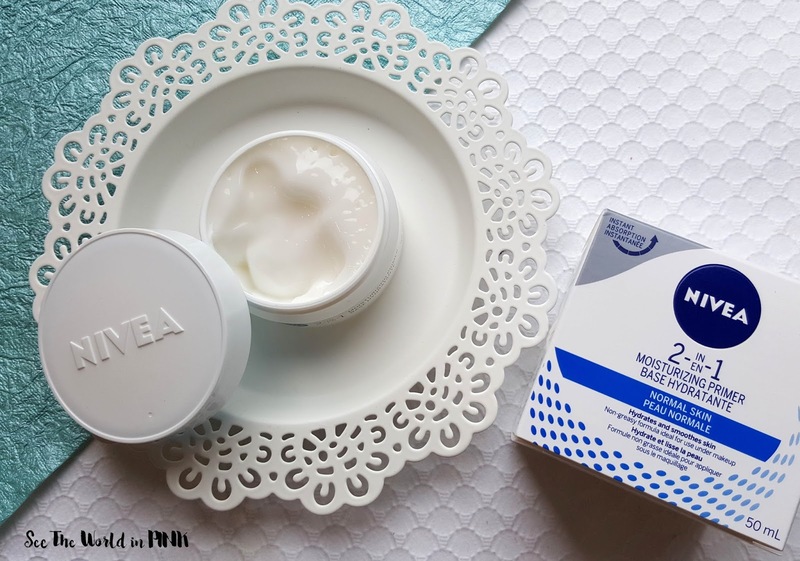 Nivea has made sure that you no longer have to take your man's after shave with this new Nivea 2 in 1 Moisturizing Primer! 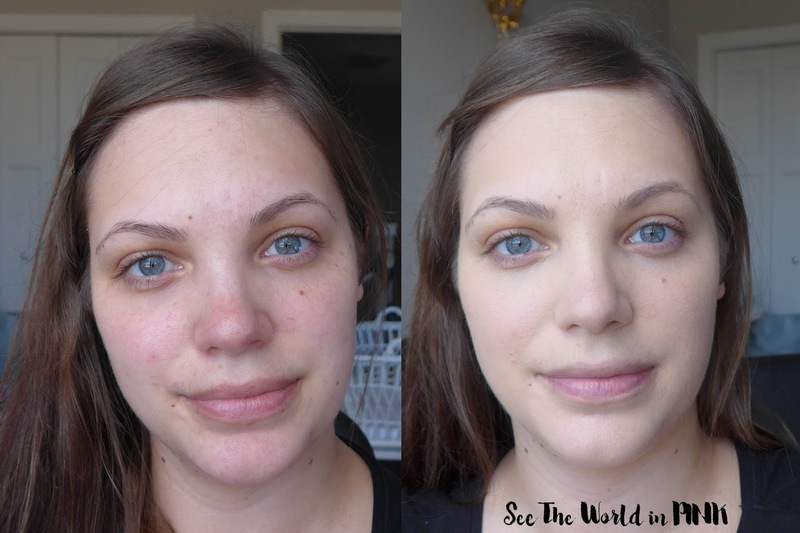 This primer is meant to work as your daily moisturizer while prolonging your makeup! This is perfect to speed along your morning routine! 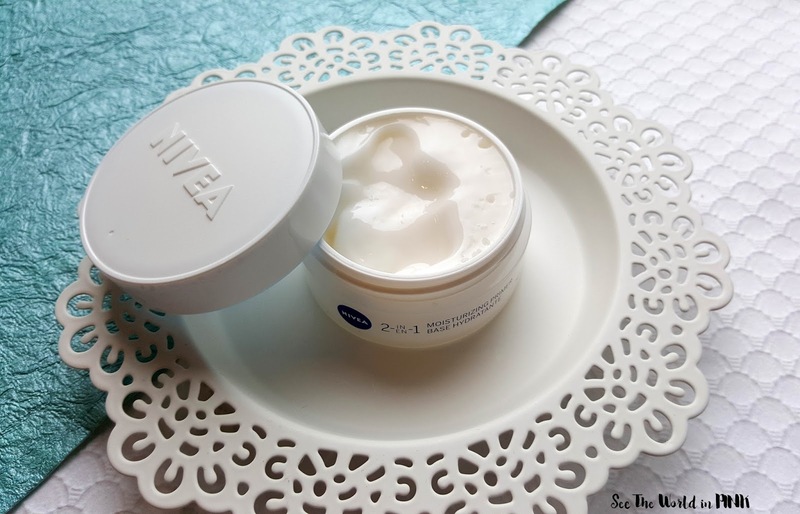 Nivea NIVEA 2-in-1 Moisturizing Primer ~ $10.95. Keep normal skin feeling hydrated and protected. This versatile, lightweight 2-in-1 moisturizer and primer is the perfect non-greasy base for every look. If you’re on the lookout for stunning, even-looking skin that leaves your skin feeling moisturized and ready for the next steps in your beauty routine, this long-lasting formula is just what you’re looking for. I was a little surprised that this came in a pot rather than a squeezable tube, as most primers do. It is a moisturizer as well, which explains the packaging. This primer is a gel-cream texture that is really light-weight and feels refreshing on the skin. It is not a heavy primer at all and you don't really feel it sitting on the skin. This goes on the skin really smooth and you only need a little bit for your whole face. This did have a slight scent to it, which I wasn't expecting - but it is a fresh scent so I didn't mind it at all. I thought this made a great, smooth surface for my foundation. This made my foundation a little more than I expected, but I liked the application. I wore this all day and my makeup lasted so well! It still looked great at the end of the night! I was totally impressed by this primer and I love that it is part moisturizer too - I like multi-use products especially for Summer where you don't want too many products weighing down your skin when it's hot! I actually didn't jump on the after-shave band wagon so I can't compare the products; but, I can say that I'm really happy with this 2-in-1 primer! This is the primer for normal skin - Nivea also has a primer for dry to sensitive skin if that is your skin type! I got a sample of this in a magazine and I can't wait till use it, trying to finish my other ones first. Though this was an amazing combination because I always use a moisturizer before a primer, if I can eliminate a step specially on the go is great !! I can't wait to use this from what you said it seems amazing !! Agreed - love that it is 2-in-1 product!